PA outraged over Israel’s approval of Beit El construction, says there will be no negotiations so long as 'settlements' continue. 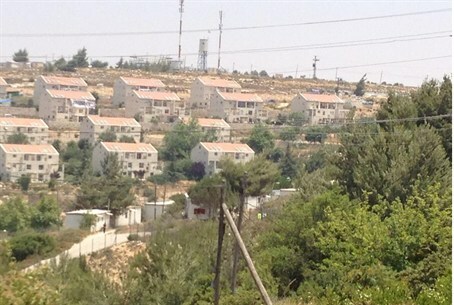 The Palestinian Authority expressed outrage on Monday over Israel’s approval of Jewish homes in Beit El. Nabil Abu Rudeineh, a spokesman for PA Chairman Mahmoud Abbas, said in a statement that the Israeli decision to build in Beit El aims to obstruct efforts by the U.S. administration to revive the peace process. “This Israeli policy aims to put obstacles in the way of any potential political movement in the region and is a disregard to the decision of the international community embodied through the recognition of the state of Palestine in the General Assembly on November 29,” said Abu Rudineh in the statement that was quoted by the PA-based WAFA news agency. He said that the Israeli current and upcoming governments must change their policies toward the peace process and repeated the PA’s position there will be no negotiations with Israel as long as Israel continues to build Jewish homes in Judea and Samaria. The PA outrage came after the Defense Ministry gave final approvals for the reconstruction of the five buildings that were evacuated and sawed in the Ulpana neighborhood of the town of Beit El last June and for the building of 90 new housing units in the town. The land on which they had been built was deemed Arab land. The decision was made in accordance with the agreement that was reached with the residents of the neighborhood, who agreed to leave their homes non-violently in return for the government building 300 new homes in Beit El. The approvals given on Monday were for the completion of planning and allocation of land, and in the coming weeks a final permit to begin the construction work is expected. As part of the construction work, the five buildings containing 30 housing units will be rebuilt. The PA has refused to sit down for peace talks with Israel for the past four years, even when Israel imposed a ten-month construction freeze on new Jewish homes in Judea and Samaria. Instead of negotiating, PA Chairman Abbas has continued to impose more preconditions on talks. Reports last week indicated that U.S. President Barack Obama, during his upcoming visit to Israel, will ask Prime Minister Binyamin Netanyahu to freeze construction once again as a precondition for negotiations. However, Netanyahu has made it clear that Israel will not agree to another freeze on Jewish construction in Judea and Samaria. During his speech at the annual gathering of the Conference of Presidents of Major American Jewish Organizations on Monday, Netanyahu called on Abbas to resume talks without preconditions.